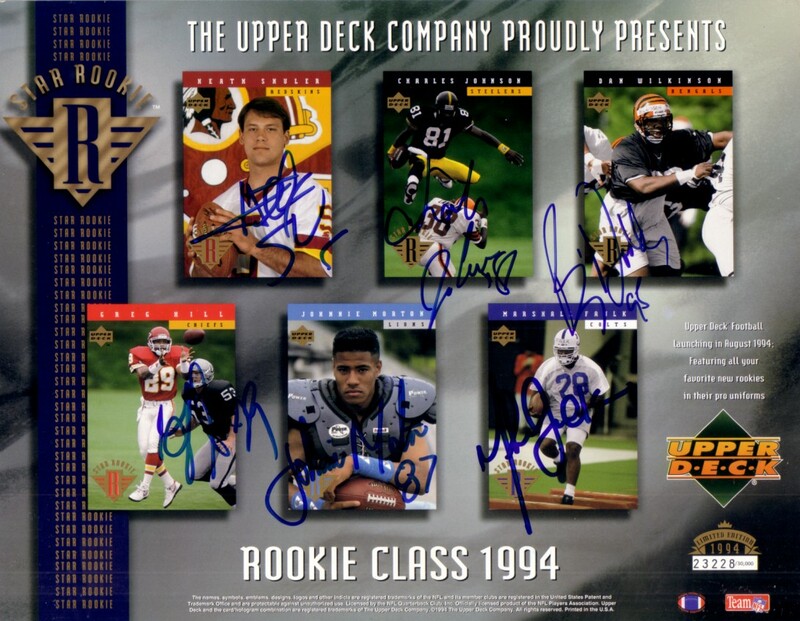 1994 NFL Rookie Class 8 1/2 by 11 inch Upper Deck sheet autographed in blue by all six players: Marshall Faulk, Greg Hill, Charles Johnson, Johnnie Morton, Heath Shuler and Dan Wilkinson. Has very minor wear. ONLY ONE AVAILABLE FOR SALE. With certificate of authenticity from AutographsForSale.com.